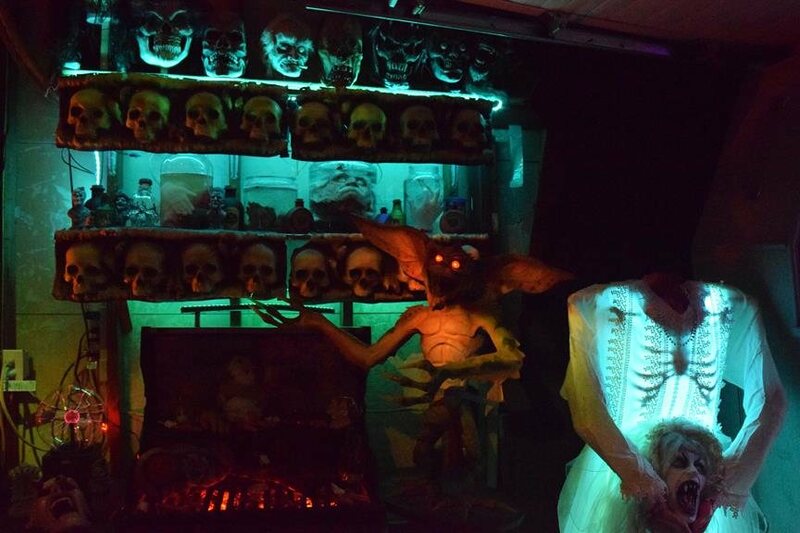 It's a Halloween prop display in our garage and front yard. Most of the displays are homemade and animated. 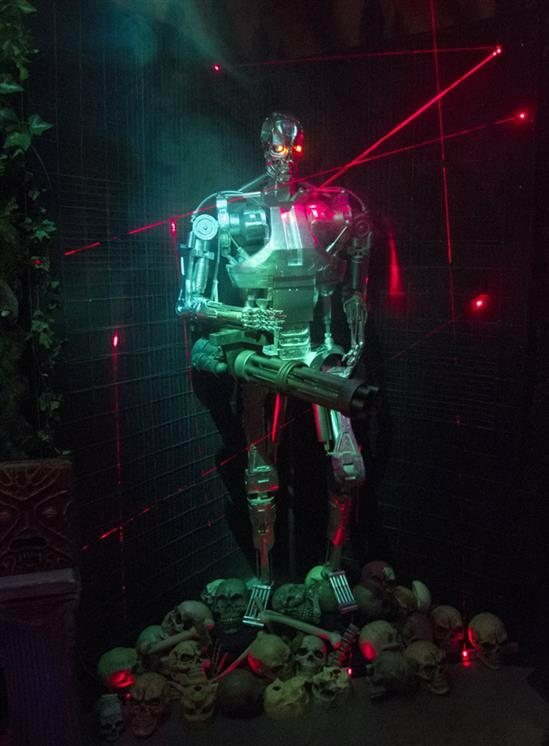 We have an animated terminator cyborg, a talking audrey 2 plant with chomping buds. A pirate display with 2 pirates and lots of treasure all around. We also have a mogwai bar & bar grill with a full size gremlin and lots of roasting body parts. A headless bride and coffin corpse. 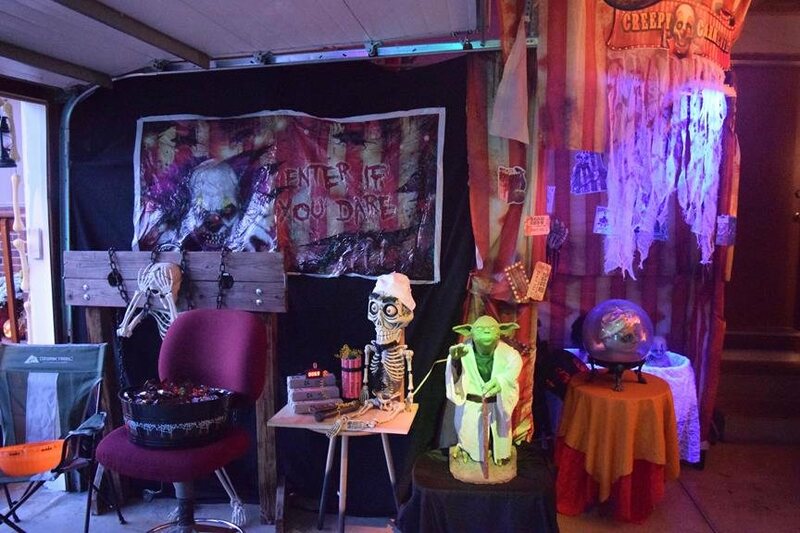 We also have a creepy circus tent with a psycho clown/butcher and some demonic babies. A screaming book of the dead with an angry mummy and Achmed the Dead Terrorist gently asking everyone to be quiet or else. We welcome photo takers and we will even pose with you. It's fun for the whole family and plenty of free candy for the kids.